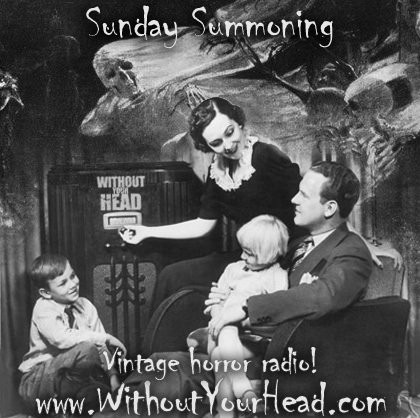 Without Your Head Horror Radio presents SUNDAY SUMMONING! Tonight and every Sunday @6E/3P sit down and listen to vintage horror radio! Ghost stories, radio drama, Sci-Fi tales and more from yesteryear! Get into the Halloween season with this classic 1931 thirteen episode radio presentation of Mary Shelley's classic "Frankenstein" starring George Edwards. First broadcast in 1931 for Australian radio, then in 1932 for CBS radio in the states after the release of the classic film from Universal. This thirteen episode serial follows the story from the original novel. Sit back and enjoy classic radio here on Without Your Head....horror and beyond! Nicola Newton and James Tallach! Nicola Newton co writer and cinematographer of new body horror short "Pigskin" and James Tallach director of "Silence the Musical" the musical parody of "Silence of the Lambs" now playing in Lynn, Ma.! LIVE tonight Nicola Newton co writer and cinematographer of new body horror short "Pigskin" and James Tallach director of "Silence the Musical" the musical parody of "Silence of the Lambs" now playing in Lynn, Ma. Call into the HEADLESS HOTLINE 1 (508) 413-3144 or Skype WithoutYourHead to the guest and the WYH Crew yourself! Artist of the month Halloween at High Noon will be supplying the music for the evening! Michael Alig of "The Club Kids" and subject of documentaries "Party Monster" and "Glory Daze" joined us for a fascinating 90 minute interview! 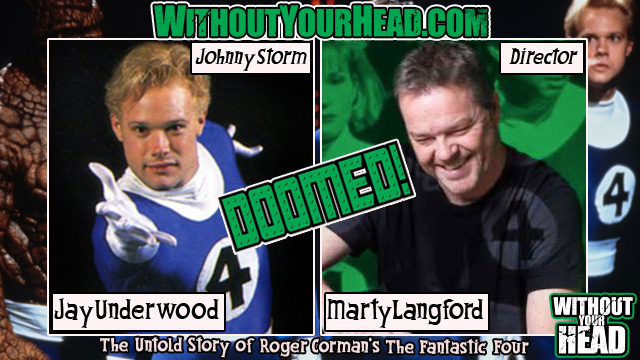 Director Marty Langford and "Johnny Storm" Jay Underwood of the new documentary "DOOMED! The Untold Story of Roger Corman's The Fantastic Four" joined Nasty Neal for a special interview - get the documentary now on VOD! 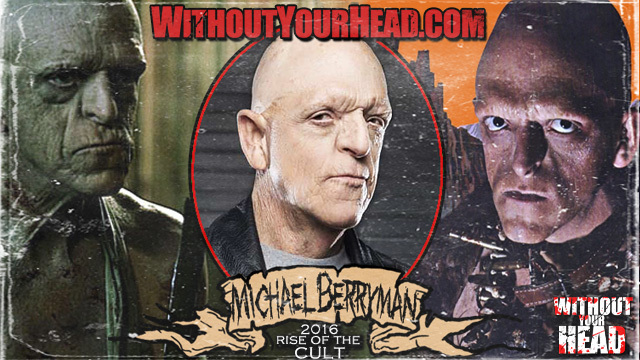 Michael Berryman of the Wes Craven classic "The Hills Have Eyes" joined us! 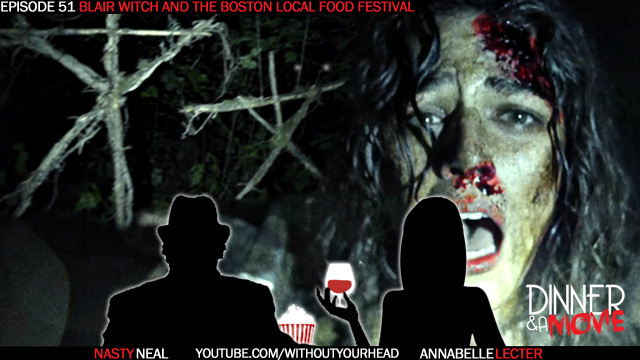 Dinner and A Movie Episode 51: Neal and Annabelle review the 2016 Blair Witch and the 7th annual Boston Local Food Festival from Asgard Irish Pub! LIVE Thursday October 13th Michael Alig the subject of the documentaries "Party Monster" and "Glory Daze"!